Which Lasers Are Good for Wrinkles? Have you been considering laser treatments to improve your lines and wrinkles? Because of the hype in our industry, you may be surprised to learn that not all lasers treat lines and wrinkles effectively. We’re here to help you make sense of your laser options for smoother, tighter, firmer and younger skin. We’ll explain their similarities and differences as well as discuss why certain treatments might make more sense for you versus others that your friends or family members may have had. First, it’s important for you to understand that there are two primary laser technologies proven superior for improving skin’s texture and laxity: CO2 and erbium. Many different companies produce lasers using these two energy. While similar, these types of lasers do have subtle differences. So, which one would be the choice for you? The answer really depends on your goals. Are you a 35-year-old who just wants a bit of smoothing and brightening? Or are you a 65-year-old who has smoked and sunbathed for the past 40 years? 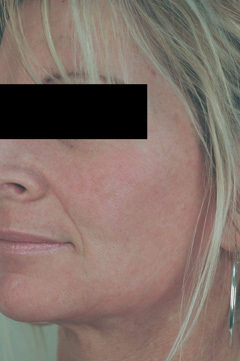 As you might guess, these two patients will require different laser resurfacing treatments. More aggressive treatments (for more severe damage) will require more recovery time. The longest downtime is usually following fully ablative CO2 resurfacing. These patients will need 2 to 4 weeks for recovery. Other non-ablative resurfacing procedures (with less dramatic results) carry no downtime at all! Keep in mind that more aggressive treatments are usually a “one and done” type approach. No downtime procedures may require a series of treatments. So how do these treatments work to smooth your skin and erase lines and wrinkles? Lasers use thermal (heat) energy to injure your skin. This precise injury forces your body to make new collagen. As your skin heals and new collagen forms, you see tighter, firmer skin. In addition to CO2 and erbium, radio frequency treatments have also been developed to tighten skin. While the mechanism by which these work is different than lasers, the underlying “collagen remodeling” is the end result. Just as technologies have evolved, so has our approach to laser resurfacing. Twenty years ago, full CO2 resurfacing was the only way to get younger, fresher-looking skin. The recovery times were long, and often complications occurred including permanent color changes and scarring. In 2005, the first “fractional” treatment was introduced. This technology allowed for “only a fraction” of the skin to be treated with the laser, rather than the entire skin surface. Not only did this reduce recovery time (to about a week) and complications, but the results were similar to traditional CO2 resurfacing. 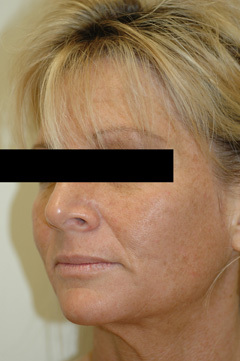 Today, fractional laser resurfacing is the preferred method to rejuvenate skin. Fractional resurfacing treatments are excellent for improving fine lines under the eyes, smoker’s lines at the top lip, and crow’s feet at the sides of the eyes. Too often consumers become focused on a specific laser done because they saw it on The Doctors or Dr. Oz. Instead of focusing on a particular brand of laser, we suggest evaluating the practitioner using the laser. Look at before and after photos of patients with similar issues as yours and examine the results that your potential practitioner gets with the lasers they use. Choosing a laser resurfacing treatment can be a daunting process, but with the help of a knowledgeable and skilled practitioner and a good understanding of the goals and limitations of the procedure, you can find the perfect fit for you. Call us today for your free consultation.